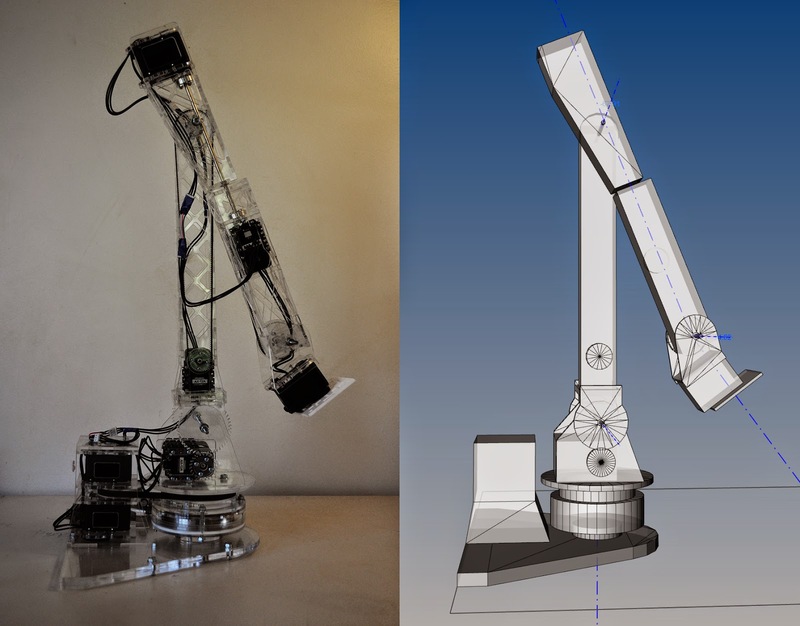 Elvis is a 6-axis robotic arm the size of a human arm, built from off the shelf electronics (Dynamixel AX-12A, USB2Dynamixel, etc.) and laser-cut acrylic pieces, and is directly driven from Rhino + Grasshopper. This is the official introduction of Elvis 1.0. Elvis is open source and shared under a GNU GPL v3.0 licence so you can download everything required to build and use it from its GitHub page. It is very much a work-in-progress, and a lot can be improved. Included in there is a basic template for an end-effector, you can build on top of that to suit whatever it is you want to do with it. 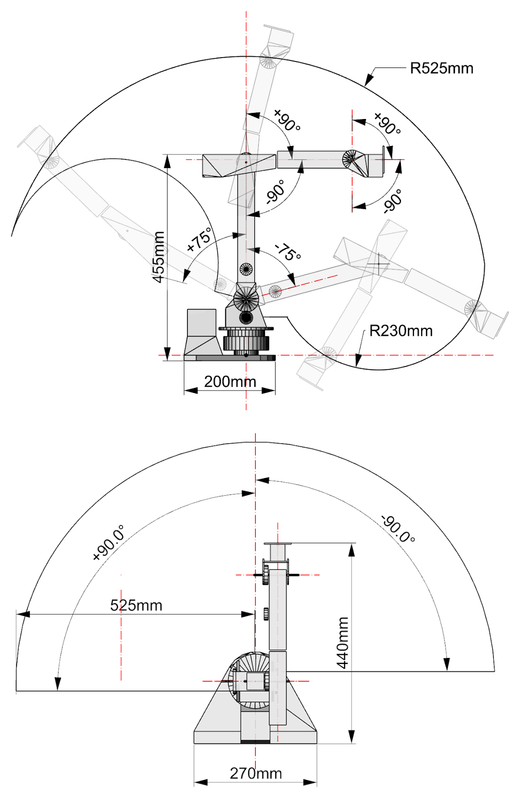 You can also modify the basic design of the robot itself to suit your requirement.